If you don't have hooks to hang your stockings from, this adorable stocking hanger might be just the solution you've been looking for. And even if you already have hooks, perhaps this one is still a good idea! 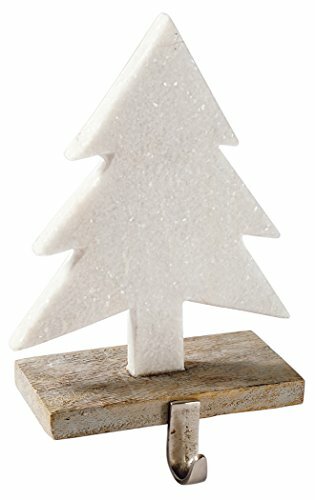 After all, the adorable white marble tree on a wooden base really adds a nice touch to the decorations in your holiday home. Made by Mud Pie, this stocking holder is 10" tall by 6.5" wide.